Are you a video editor? Would you like a massive platform for your editing skills to be shown and credited? Look no further than this post!! 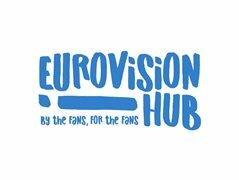 Eurovision Hub is the home of Eurovision reaction videos and we are looking for video editors to join our current pool of editors and edit 5 minute videos for us. In 2018 our reaction videos were watched by over 3.6 Million people. Our watch time was 9.1M minutes and we saw an increase of 10K subscribers in less than 6 months. If this is the kind of platform you want your talent to be showcased on then please apply. We are looking for people who are competent and comfortable using Adobe premiere pro, who can meet deadlines and be creative (we like creative). Qualified Organist - Starting at $120 for 1.25 hrs.